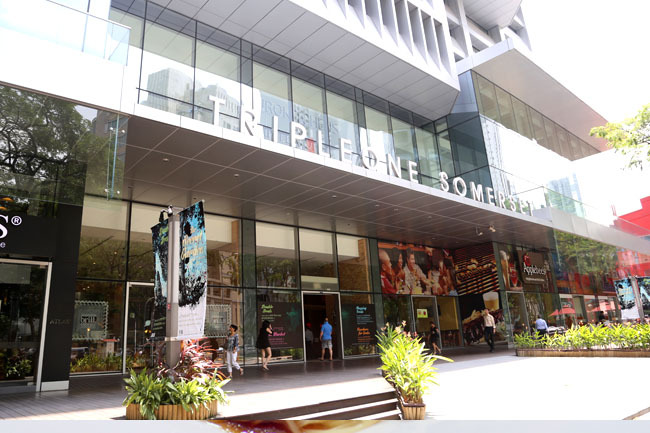 TripleOne Somerset, which the taxi uncles still like to call PUB or Singapore Power Building, is just across the Somerset MRT and offers some different dining experiences. I go there often to grab my groceries from FairPrice Finest, some bread from Imperial Treasure Bakery, or meet up with friends over a meal at its restaurants. If you want to need somewhere relatively quieter from the buzz of town, or restaurants which can hold up large groups of people, TripleOne is just minutes’ walk away from Orchard. What I like about it is that it offers some eating places that are not exactly the same cookie-cutters available elsewhere, such as Applebee’s Neighborhood Grill & Bar, Brill, Fukuichi Japanese Dining, Windows of Hong Kong, and Coffee & Toast, Daruma Ramen House, Imperial Treasure Steamboat Restaurant and Togi Korean Restaurant. Here are 5 Restaurants to check out when you are at TripleOne Somerset. This is perhaps another hidden find, a 4000 square feet Japanese dining restaurant with an indoor sushi bar and outdoor sake wine bar. Fukuichi’s lunch sets at an affordable $16-$20 are pretty popular with the corporate crowd. Some of the more popular offerings include an assorted raw fish set of Sashimi Teishoku ($20), Sushi Teishoku, Grilled Chicken with Teriyaki Sauce Kijiyaki set ($16) and Grilled Mackerel Set ($18). The chef will also whip up an occasional creative dish such as almond tempura prawns, so check with the staff for recommendations. No 2: Vouchers for Grabs. Every week 30 lucky shoppers will stand to win vouchers of up to $100 each by spending $150 or more at participating outlets. No 3: Shopping Treats for the highest spender of the week and 2 winners will stand to enjoy treats worth over $1000! b) COMMENT below on your favourite restaurant at TripleOne Somerset and why. My pick is Daruma Ramen House, because nothing beats a hearty and comforting bowl of ramen especially on a rainy day! I will definitely choose the 'Imperial Treasure Steamboat Restaurant' as I love to eat and steamboat is always the best choice for me. I love how they have a wide range of soup base to choose from. From the usual healthy chicken soup to the extreme satay flavour soup base that I will definitely love to try it! Apart from that, the self-made sauces that you can use to dip the meat is something that really entice me to going to this restaurant :DD Yumyum. I love Imperial Treasure Steamboat Restaurant because I love healthy yummlicious steamboat and Imperial Treasure Steamboat Restaurant has a wonderful array of soups and ingredients to choose from. Fukuichi Japanese Dining, i love sashimi! Imperial Treasure Windows of Hong Kong is my choice because the wanton and beef brisket noodles are so yummy that you cannot resist it. It will definitely be Imperial Treasure Steamboat Restaurant as it gives us the precious chance to either gather with friends or relatives over a good meal! Eating together is no doubt a bonding session! And hope to try the good food with good accompanies make eating a joy. I love Ramen therefore Daruma Ramen House is my choice. Imperial Treasure Windows of Hong Kong because I am a fan of its beef brisket noodles. The beef is tender and well cooked and the noodles are springy and moist. My favourite restaurant at TripleOne Somerset is Togi Korean Restaurant. I have visited the other one at Mosque Street, hope to have the chance to try out Togi at TripleOne Somerset. I love Korean BBQ! !Togi Korean Restaurant! My family love to go this restaurant because the restaurant provide authentic korean cuisine. They have delicious marinated meat for BBQ and a wide variety of banchan to choose from! Spicy rice cakes and kimchi pancake is delicious too! I walked past Imperial Treasure Windows of Hong Kong sometime ago and was very curious and interested in this dining place. 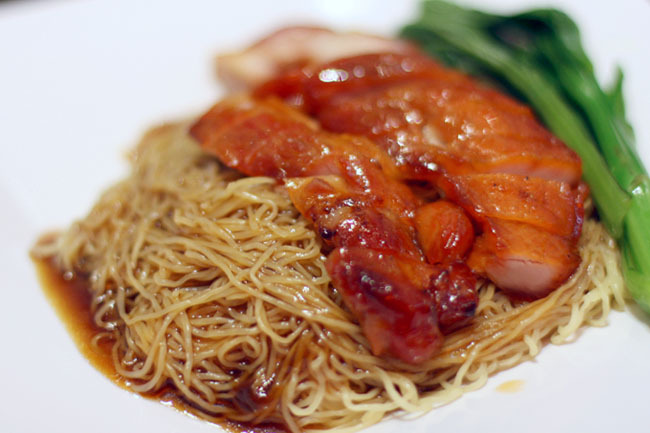 I like noodles with springy waxy texture, can't wait to try their noodles! Imperial Treasure Steamboat Restaurant for sure! Fukuichi Japanese Dining for their affordable lunch sets that doesn't cost an arm or a limb! I like Imperial Treasure Windows of Hong Kong as the food is restaurant standard but at food court price ! No additional GST and Service Charge! Very affordable especially when you have a whole family to feed! I hope to win the voucher to dine at Imperial Treasure Steamboat Restaurant. I like steamboat a lot, as I'm a soup lover. The picture above makes me hungry! I like Imperial Treasure Windows of Hong Kong because their food satisfy my craving for good Hong akong food. 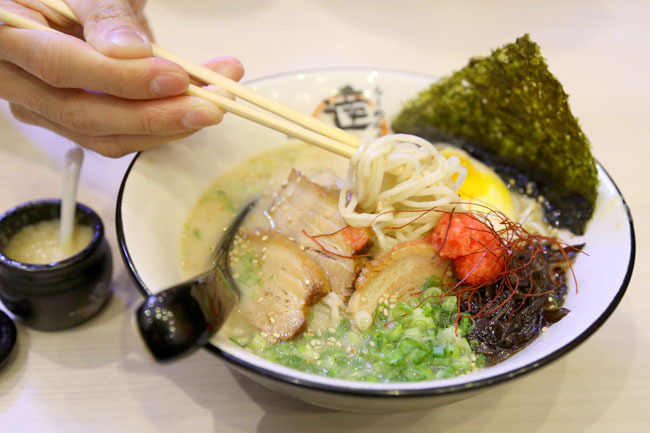 Would love to try Daruma Ramen House to satisfy my Ramen cravings! Imperial Treasure Steamboat Restaurant- I heard many good reviews on Imperial Treasure restaurant group but yet to try out as they’re always long waiting queue during weekends or evenings. I really like Applebee’s because of the classic stick to your ribs American style comfort food with lots of juicy grilled meats and hearty sandwiches! Thanks for hosting the giveaway Daniel ! I like Fukuichi Japanese Dining because japanese food is just divine for me. I cant resist sashimi! Imperial Treasure Windows of Hong Kong! my wife and mother in law love hong kong cuisine! I like Imperial treasure windows of Hong Kong because its is an upbeat casual dining café that remains true to the style and flavours of Hong Kong cha chan teng. I love their aromatic claypot rice with chicken and chinese sausage. And my yummy meal will be completed with a cup of classic Hong Kong style milk tea! Togi Togi Togi! Togepi! Korean food by Korean owners?! Sign me up! Fukuichi Japanese Dining. I had worked in Japan for 6 years and grew to love japanese cuisine especially the ramen ! Togi Korean restaurant! the meat! nuff said! I love to have steamboat with my family. So I will choose Imperial Treasure Steamboat Restaurant. Yummy!!! 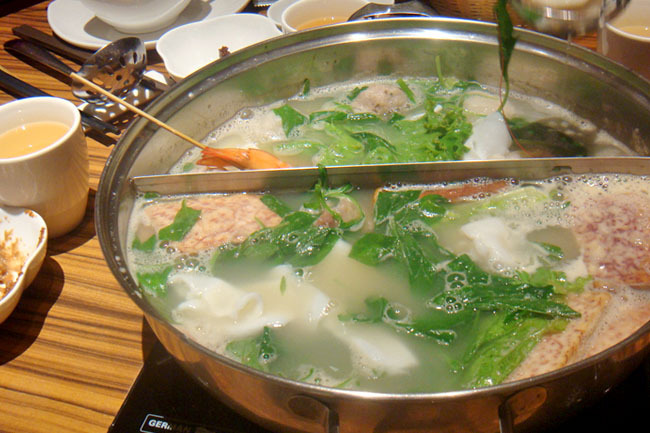 I will choose Imperial Treasure Steamboat Restaurant as my wife always love to have steamboat. Hope can bring her there in October on her birthday. Thanks. Fukuichi Japanese Dining. I just love sashimi!! 안녕하세요! My favourite restaurant at TripleOne Somerset is Togi Korean Restaurant. My friends were craving for Korean food, and after hearing so much about Togi Korean Restaurant, we decided to check it out. The restaurant is quite authentic and very generous with their side dishes. The staffs are amazing friendly and attentive (not easy to find nowadays). My favorite dish of the night, Ginseng Chicken Soup, was AWESOME! The soup is flavorful and captures the full essence of the ingredients. Daruma ramen!! Ramen has always been my weak spot! My favourite is Fukuichi Japanese. It is one of my favourite japanese restaurant in Singapore too. Love their set meals, sushi, sashimi… everything I've ordered never disappoint. Daruma Ramen House! I love the cozy atmosphere, nice food & good service there! Had a fee cozy gatherings with friends there for lunch & i’ll definitely love to drop by again! I will always go w my family to Imperial Treasure Windows of Hong Kong! ^-^ The food there is awesome, especially the baked rice, which is my favourite! Its not too dry, just nice for a picky eater like me! So much better than the other HK cafes that’ve been popping up ard SG! If I have to choose, I will go for Togi Korean Restaurant because I love the authencity of how Korean food is prepared. Togi Korean restaurant. 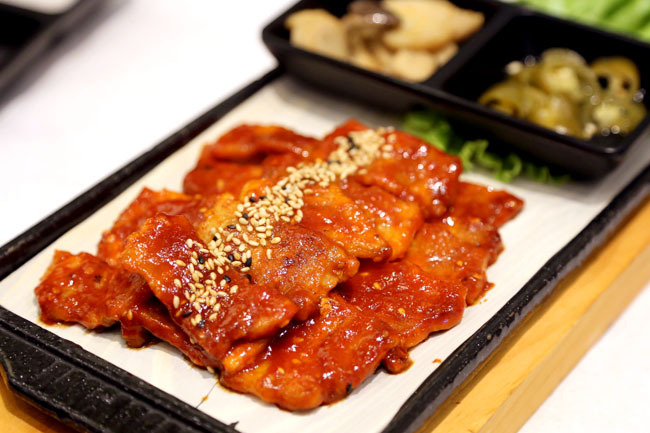 Korean Spicy Pork belly is something that cannot be missed!! Togi Korean Restaurant. The "Maeoon Samgyupsal" is just so good, a must try for anyone who plans to go there. Daruma Ramen of House! Ramen is one of my favourite! Fukuichi Japanese dining looks really tempting. 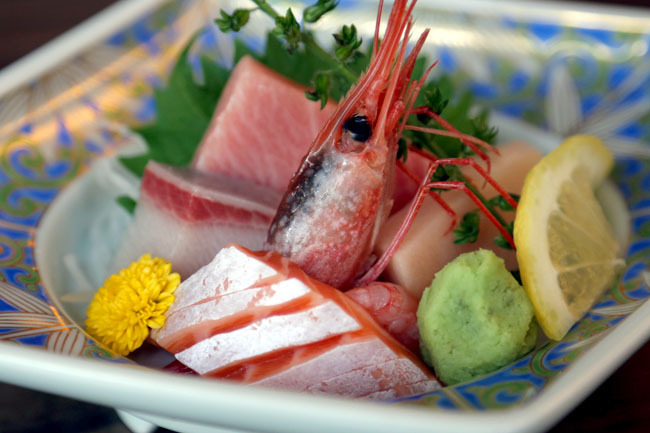 I love sashimi and having a bad craving for them as I look at the nice photo of the sashimi at fukuichi! 😀 can’t wait to try it! Fukuichi Japanese Dining! Heard loads of gd stuff about them but never had the chance to try! Will b delighted to win. My favorite is Fukuichi Japanese Dining because they serve really delicious and fresh Japanese food. The prices are reasonable too. I like Imperial Treasure Windows of Hong Kong because I like noodles and I think the noddles here are wonderful. Hope to visit with my husband. Bake pork chop rice , beef noodle are all my favorite from imperial treasure windows of hong kong. Imperial Treasure Windows of Hong Kong. I want to find out if it is nicer than the Paradise Chain of restaurants and it seems affordable as well. Definitely Fukuichi Japanese Dining! My colleagues and I would pop by for lunch and we aim for the set lunch which is delicious and worth the price! Imperial treasure!!! Foods are fantastic!!! Yummy yummy!!! Imperial Treasure Window Of Hongkong. Its affordable roasted poultry and meat with add on of beverages will definately make you visit the 2nd round! never had the chance to try imperial treasure yet. and no time like the present! definitely Fukuichi !! !simply because the japansese food is awesome and affordable ! Imperial Treasure Windows of Hong Kong – my whole family is Cantonese through and through, so we love Hong Kong food! Fukuichi Japanese Dining. 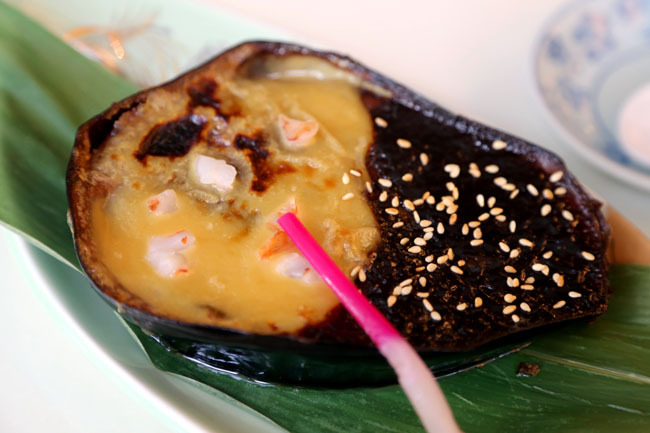 Their affordable prices means you won’t have to scrimp and save to enjoy high quality Japanese food. Fukuichi Japanese Dining. I love japanese food and looking at the description above, it seems like a reasonable priced restaurant with lots of variety! Will definitely want to explore this restaurant! Daruma Ramen House would like to try this restaurant as i like ramen very much and would like to try this. This is really special as it is surprisingly open in hong kong so would like to try the taste different between other japanese built restaurant. Fukuichi Japanese Dining. The sashimi looks fresh and succulent, it looks affordable too. Togi Korean restaurant. Not only is the food delicious, the ambience is perfect for a nice meal with friends. Hi Choon-Leng, congrats on winning the vouchers. Please email to DanielFoodDiary@gmail.com with your contact details and address. Cheers! Congrats to Natalie Cheang and Choon-Leng Chia. You have each won $50 vouchers from TripleOne Somerset. Please email to DanielFoodDiary@gmail.com with your contact details. Enjoy your treats!